WELLNESS, moderation and image are the three key factors impacting a reduction in alcohol consumption among the next generations of wine drinkers, figures show. About 75 per cent of millennials say they now limit the amount of alcohol they drink on most of their nights out, with 59 per cent citing avoiding loss of control as the primary motivation for limiting alcohol consumption on a night out. 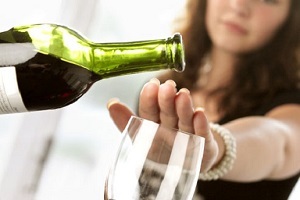 The Food and Wine Insights Quarterly Wine Trends (June) report figures also shows more than one in three 21- to 35-year-olds admit they have suffered from ‘social shaming’ caused by appearing to be drunk in a photo on social media. Drinking responsibly and being able to shape their own reputation by staying in control are key factors in choosing to moderate their alcohol consumption and to choose quality over quantity in line with the image they want to portray, the report says. “From moderation initiatives to breaking the taboo of teetotalism, the trend will gather further momentum, reach critical mass and enter the realms of a paradigm shift” said Spiros Malandrakis, Senior drinks analyst Euromonitor. The findings from this study are published in the launch issue of June’s Quarterly Wine Trends report released by Food and Wine Insights. The report delves further into the factors behind younger drinkers decreased wine consumption as well as research and insights by IWSR on three key global growth trends, Chinese wine consumers latest social media craze, growth of alternative packaging, latest wine packaging innovations around the globe, top Google trends in wine search and key Australian wine consumer trends for 2018. The Food and Wine Insights Quarterly Wine Trends subscription condenses the latest consumer and category trends impacting the wine industry around the globe. Tailored for wine industry decision makers, each quarter the report covers the latest trends in export, packing and innovation, digital and Australian consumers into a concise 8-page report that translates the latest opportunities and threats for wine businesses. Almond Breeze is now selling flavoured milk options in single serve formats.